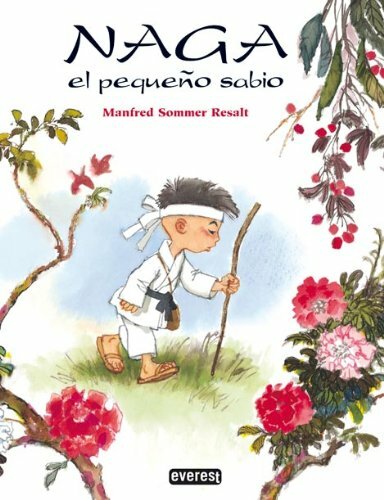 Grade 3-4-Tenderhearted, with a stately pacing and the kind of repetitive elements that children love, this is the story of a young Japanese boy, living in an archetypal past, who wants to be a samurai. Beginning with the village painter and following through with a mouse, a sea turtle, a dragon, a warrior, and others, Naga questions the characters in order to learn what he needs to achieve his dream. Each being suggests that he should strive for a characteristic trait the painter, beauty and goodness; the mouse, prudence; the turtle, patience. They also leave the boy with a token to help him remember their advice: a hair from a paintbrush, a whisker, the dragon's breath. As Naga continues his quest, he incorporates the lessons into his manner of living, so that by the time that he comes to a famous wise man for help he is ready to set aside his dream of being a warrior and to seek out a life of wisdom instead. The author's watercolor illustrations are warm and detailed, carried out almost exclusively in earth tones, except for the vividly colored dragon and the clothing of the adults Naga meets. An appealing and attractive story in its own right as well as an excellent choice for introducing Japanese culture or a study of character traits, Naga embodies a timeless sensibility that transcends linguistic and cultural boundaries. Coop Renner, Paul C. Moreno Elementary, El Paso, TX <br />Copyright 2002 Reed Business Information, Inc.